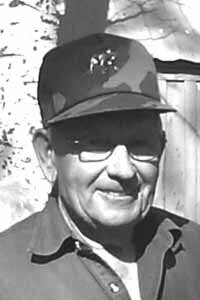 Jimmy Lloyd Dorr was born on June 1, 1927, in Hotchkiss, Colo., the son of Ralph and Rosa Dorr. He grew up on small farms in Hotchkiss and Talent, Ore., with older brothers Earl and Johnny. He also attended high school in Concord, Calif.
Jim traveled the world as a merchant seaman on Liberty ships for several years. He completed his high school diploma between trips to sea. After moving to Idaho, Jim worked for the Forest Service, for an outfitter, on farms and in the Triumph and other mines. He served in the Army and Air Force for a couple of years. Not long after moving to Idaho, he was invited to a family picnic where he met Jeanne Ivie Knight. Back in Idaho from the military, Jim married Jeanne on Feb. 18, 1952. They first lived in Ketchum, Idaho, where Jim co-owned a Texaco service station. They then moved to Hailey, Idaho, where Jim worked at Sawtooth Motors for 20 years in various capacities from tow truck driver to service manager. Jim was then transportation manager for Blaine County School District for 20 years. Many folks in the county got to know Jim through their activities as students or parents, or in other school bus business. Jim was on the Hailey Fire Department for many years when it was an all-volunteer department. He was fire chief for many of those years. Jim was active in the Masonic Lodge most of his adult life. He was master of the Hailey Lodge 16 AF&AM several times and secretary for many years. Jim was assistant scoutmaster of Boy Scout Troop 6 while his sons were in scouting and received the silver beaver award. He led the troop on many hikes and campouts, including a weeklong backpack trip every summer. Jim enjoyed time with family and picnics, holidays and birthday gatherings with extended family and friends. His grandchildren have many cherished memories of time spent with their grandpa going on hikes, swimming in the beaver ponds, gathering eggs, sneaking treats from grandma and bedtime stories. With the family, Jim grew extensive gardens, chickens and calves, and for a long time kept a milk cow. Many generations of Hailey children visited the "Dorr farm" to watch the chickens and other animals. Jim enjoyed hiking, backpacking, ski touring, snowshoeing, hunting, firewood cutting and any other reason to get out in the woods. Jim and Jeanne enjoyed attending local dances and later square-danced around southern Idaho. Jim walked his big fuzzy dog, Dirk, around Hailey every day until he had to move to Blaine Manor because of the effects of Alzheimer's last spring. Jim passed away on Nov. 26, 2010, at age 83. He was preceded in death by his parents, Ralf and Rosa, and his two brothers, Johnny and Earl. He is survived by his wife, Jeanne; his children, Jay (Patti) Dorr, Julie (Joe) Ratto and Jim Dorr; his grandchildren, Joann (Derick) Brammer, Joe (Achan) Ratto, Jeanne (Josh) Bostwick, Julie (Todd) Nelson, Jessica (Mike) Lee, Jamie (Derick) Holyoak, Jimmy Ratto, Jay Ratto, Jill Ratto and Jody Ratto; and great-grandchildren, Emmie, Rachel, Luke, Jenna, Beau and Joey. A celebration of his life will be held on June 4 at the family ranch out the East Fork of the Big Wood River. Charitable memorials may be made to Blaine Manor, Hospice of Wood River Valley or Croy Canyon Ranch Foundation.